Artificial turf, also known as indoor/outdoor carpeting, is an extremely versatile product. Modern artificial turf can be made to look and feel like real grass, and comes in a variety of colors for indoor use. It is a great alternative to a paved outdoor area or patio, or for use in a high-traffic, indoor area. 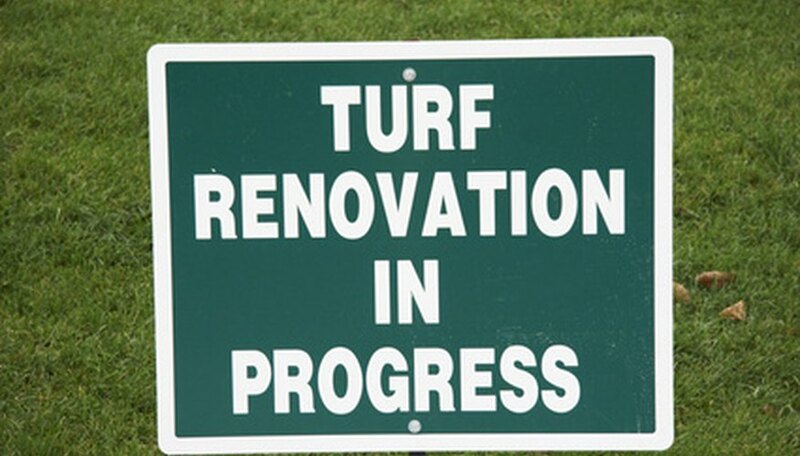 Since it is a man-made material and not grass or real turf, it needs special care. It is relatively easy to keep clean, and with proper care, your artificial turf can last for a very long time. Vacuum the artificial turf to remove dirt and debris. Regular vacuuming also helps keep the turf from appearing crushed. To remove oily stains, mix liquid dish soap and warm water, then apply the mixture to the stain with a scrub brush and scrub until the stain is removed. Rinse the area with clean, warm water to remove any soap residue. Remove mold and mildew from artificial turf with a mild bleach solution. Dilute the bleach in water and apply it directly to the mold or mildew. Scrub any stains with a scrub brush if necessary. Rinse the area with clean, warm water to remove any bleach residue. If a stain reappears, vacuum the affected area several times before trying to remove it. Megan Lawless is a freelance writer based in Chicago. She holds a Master of Business Administration in marketing communications from DePaul University. She currently works as a marketing consultant in the legal profession. Lawless has had articles published on eHow.com.